Create mixed reality apps that map, designate, and recall precise points of interest that are accessible across HoloLens, iOS, and Android devices. Enable wayfinding across spaces to help your users collaborate more efficiently. Provide your users a better understanding of their data, where they need it and when they need it, by placing and connecting your digital content to physical points of interest. Accelerate decisions and results by bringing 3D to your team and customers on the device of their choice. 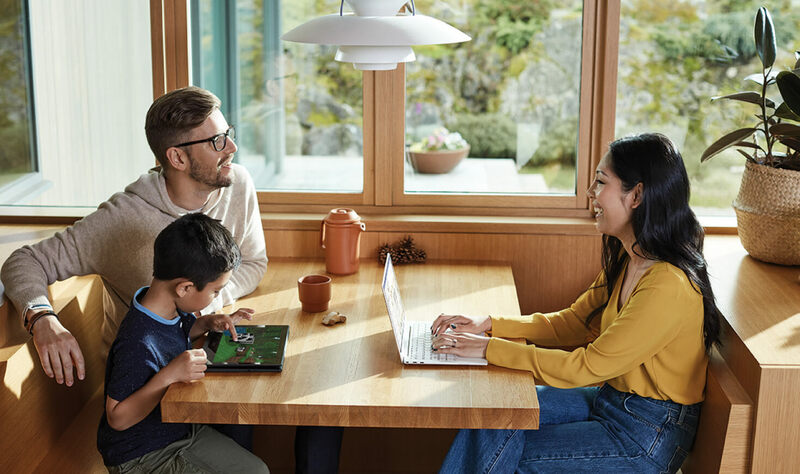 Do more with your solution by integrating IoT services and artificial intelligence, and protect sensitive data with enterprise-grade security from Azure. Build multi-user, cross-platform apps. Create persistent spatial anchors in the real world and attach digital content to those anchors. Enable wayfinding. With Azure Spatial Anchors Preview, you have all of these capabilities at your fingertips. Watch them come together in a common scenario—architecture design review. Map your space and connect points of interest to create wayfinding experiences, and place shareable, location-based holograms with no environmental setup or QR codes required. Share mixed reality content in a real-world location and return to it on an ongoing basis for scenarios like training and design review—all on the devices that work best for your solution. Azure Spatial Anchors Preview supports HoloLens devices, ARKit-enabled iOS devices, and ARCore-enabled Android devices. Build your apps using Unity or your favorite native SDK for the devices you choose to support. Accelerate your mixed reality development with pre-built cloud integrations for managing identity, storage, security, and analytics. Easily infuse artificial intelligence (AI) and integrate IoT services to visualize data from IoT sensors as holograms. Create your first app using quickstart templates for HoloLens, Unity, iOS, and Android. Enrich with Azure services like Azure Digital Twins, Azure Active Directory, Cognitive Services, and Azure Cosmos DB. Accessing facilities data can be difficult in complex and active environments like industrial facilities and large spaces (hotels, conference halls, etc.). This scenario, built on Azure Spatial Anchors Preview and Azure Digital Twins, shows how you can visualize a virtual replica of your physical space with real-time data in the context of your environment. It provides a guide for improving uptime and operations in hospitality, manufacturing, retail, and more. “Azure Spatial Anchors is the next step in the digital transformation of the AEC industry, where physical and digital assets co-exist. This technology enables a device-agnostic approach to mixed reality and supports integrated design, where all project stakeholders can access the right data at the right time across project phases. Aviad Almagor, Director, Mixed Reality Program, Trimble Inc.
Give employees at your company direct access to Spatial Anchors Preview with Azure Active Directory (AD). Assign various levels of access to users or services for your Spatial Anchors accounts with built-in Azure AD Role-Based Access Control. Create fully isolated Spatial Anchors accounts to keep your spatial data secure and control access to it. Protect data while it’s in use with Azure confidential computing. 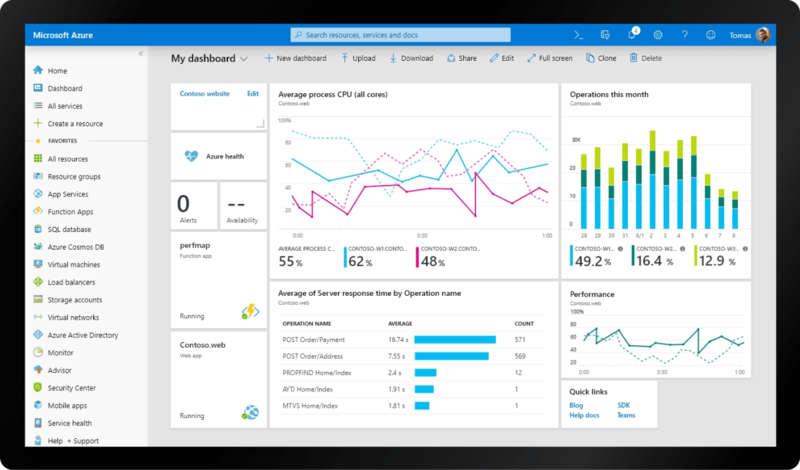 Monitor workloads and find and fix vulnerabilities with Azure Security Center. Safeguard data against ransomware with Azure Backup. Mixed reality is the result of blending the physical world with the digital world. It adds interactive holograms to your real environment. Holograms are objects made of light and sound that appear in the world around you and obscure what's behind them as if they're real. Using artificial intelligence, holograms in mixed reality respond to commands and interact with real-world surfaces in real time. Across augmented reality (AR) platforms, “anchors” are a common frame of reference for enabling multiple users to place digital content in the same physical location, where it can be seen on different devices in the same position and orientation relative to the environment. With Azure Spatial Anchors, you can add anchor persistence and permissions, and then connect anchors in your application so that your users can find nearby content. Which platforms does the Azure Spatial Anchors service support? Azure Spatial Anchors offers platform support for Unity, ARKit, ARCore, and UWP. Create your first app using quickstart templates for HoloLens, Unity, iOS, and Android. Which devices does Azure Spatial Anchors support? Azure Spatial Anchors supports all HoloLens devices. Today we offer documentation support for HoloLens Development Edition and HoloLens Commercial Suite, and documentation for HoloLens 2 is coming soon. You can also use this service in apps running on iOS-based devices supporting ARKit, and Android-based devices supporting ARCore. Do you charge for Azure Spatial Anchors? This service is free during public preview. We will announce pricing at a later date. For more information, and to stay up to date, visit our pricing page.